The weekends social events and silent auction benefit Poker Gives. Poker Gives will have a container at this event to collect new socks and any toiletries you may collect while in town! Please help us by packing a package of socks for our area homeless… they are the most requested item there is! Thank you for your support! 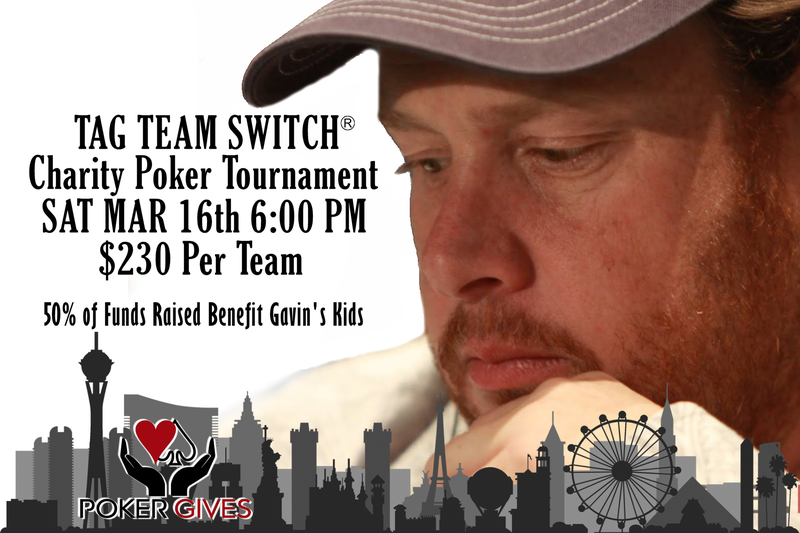 In light of the passing of Gavin Smith, Poker Pro and friend to the community, he always supported any charity who asked for his help. And now we are giving back to his children. Join us for the Tag Team Switch Charity Poker Tournament March 16th, 6pm at Green Valley Ranch Casino in Vegas. 50% of the funds raised will benefit Gavin’s kids. Hope to see you there! Held in honor and recognition of women who have contributed significantly to the poker world. Silent Auction and proceeds of the event benefit Poker Gives.